Messa’s new album Feast for Water begins much like it looks. Taking the cover imagery as a starting point — a distorted image capturing the precise moment at which a solitary diver plunges headfirst into a gloomy abyss — the album’s first voice is a haunting cello. It establishes its mournful theme only to become gradually subsumed by the unsettling burbles of swirling water. The listener drowns along with the cello as the rush of water intensifies, and soon, all is washed away by a maddening drone crescendo. In a sudden break, the lapping water returns with the cello’s lonely theme reinterpreted by echoing guitar. Vocalist Sara sprawls languidly over the dour notes, her barely breathed vocals swimming in reverb. A single snare crack from drummer Mistyr sparks the commencement of the song’s galloping primary riff, lead guitarist Alberto soon stampeding in like a victorious conqueror trampling the bodies of vanquished foes. Over this driving verse, Sara is a mighty queen, her steadfast melody and howling delivery channeling true majesty. Alberto proves a worthy counterpart in his ripping solo dripping with classic rock and blues influences. Elsewhere, the band employ a far subtler touch. The third track “Leah” is an eight-minute epic jam that spends much of its time wallowing in lush Rhodes piano and barely-there percussion. Sara is equally compelling in these softer moments, evocative of the smoke- and bourbon-filled jazz clubs of decades past. The peace is short-lived, as the keyboard-led verses yield to volcanic doom choruses, Alberto’s sustained chords resounding over guitarist/bassist Marco Messa’s powerful riffing before another gorgeous solo. The inclusion of Rhodes piano invites immediate comparisons to The Doors, but on most of Feast for Water, Messa more closely resemble Led Zeppelin in the depths of “No Quarter”. Aside from “Snakeskin Drape,” ripper of a track that it is, Messa’s approach is largely a drawn-out, measured and dynamic one, based on a model of hazy, sparse verses which grow and swell until they overflow into monumental choruses. “The Seer” features multiple time and feel changes, yet they’re only palpable when the band want them to be. The straight-feel chorus slinks back into the triplets of the verse as a stealthy crocodile does into an algae-covered river — imperceptible unless one is already looking for it. Messa are at their most metallic in “Tulsi,” into which “She Knows” seamlessly flows. 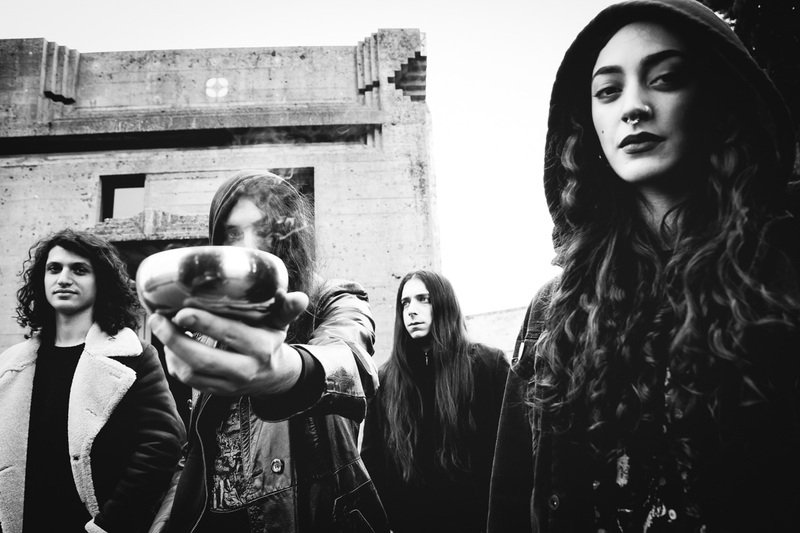 The band deploy blast beats, tremolo guitars, and shrieks from Mistyr to evoke the sonic imagery of black metal while remaining within their occult doom swamp. A mercurial saxophone solo brings this song to a close — the very same song which began clad in the trappings of black metal. Somehow, Messa make it all work brilliantly. Whether crooning over minimalist keys or wailing atop massive chords and cymbal crashes, Sara is a confident presence. Alberto’s constant yet light touch is the perfect complement to Sara’s melodies. When he does step to the forefront, it is with clear intent, as evidenced by his two solos in the tail end of “The Seer”. The album has been treated expertly in terms of its production — the mix empowers the songwriting by shrouding the pieces in the desired atmosphere of wetness and murk. In lighter moments, such as the introductory minutes of mid-album set piece “She Knows,” the production is simply beautiful. Sara doesn’t appear until after the song’s midpoint, but until then, the succulent Rhodes is sufficient to keep the listener entranced. There are so many special moments dotting the landscape of this album. Messa infuse every song with an assortment of melodic, structural and rhythmic gems which engage the listener over all the album’s eight tracks. Feast for Water is a meticulously composed odyssey through time, a unique voice in occult doom that will surely find its way onto many end-of-year lists. 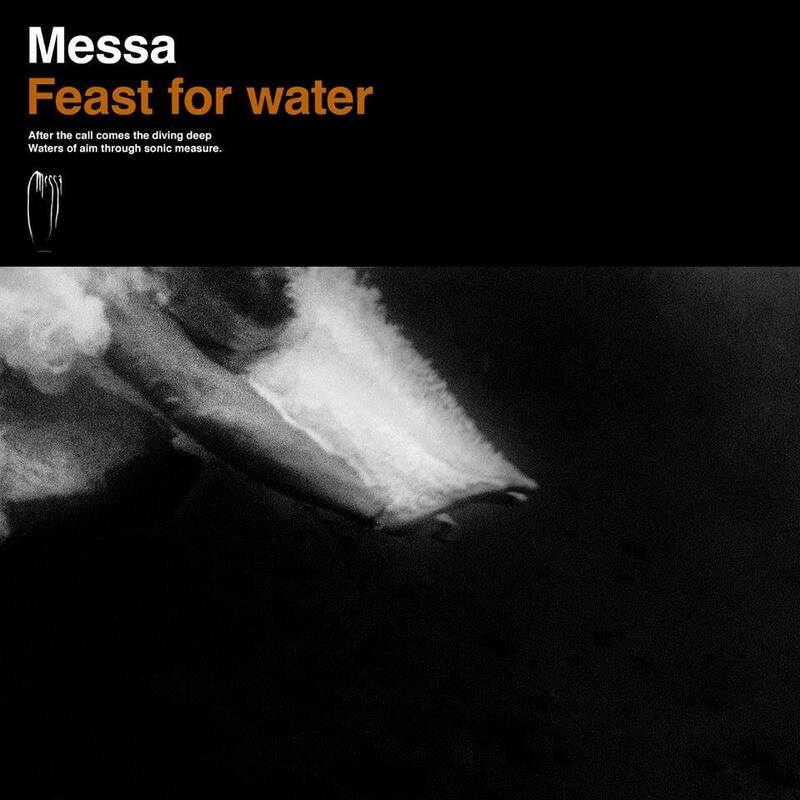 Messa will release Feast for Water on April 6th via Aural Music. Pre-order the record from the label or directly from the band on Bandcamp. The album is currently streaming in its entirety at Noisey.